The next morning we awakened early for another long walk because we knew that walk would be resulting in biscuits. 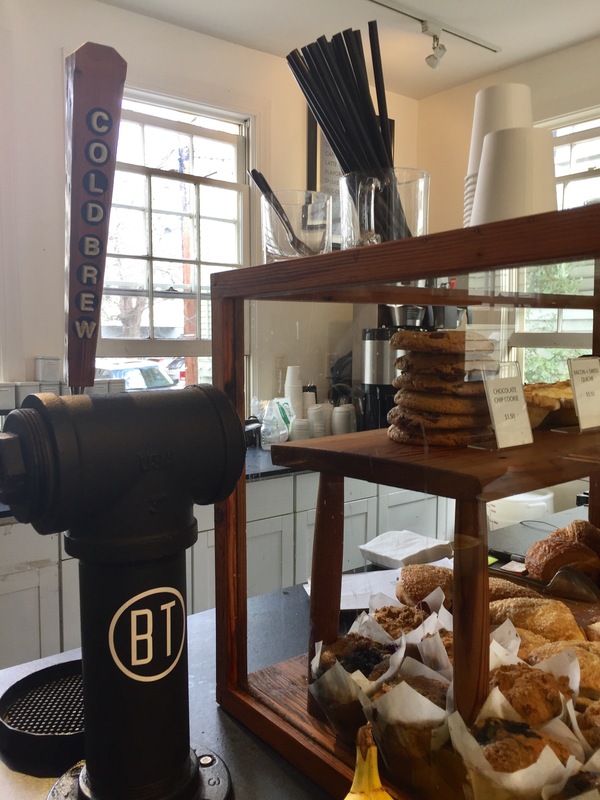 But, first…coffeee..
We wandered over to Black Tap coffee which was over in the University of Charleston neighborhood. A very hipster vibe, we felt a little out-of-place, but the iced coffee was just delicious. Straight from the Black Tap, I might add. 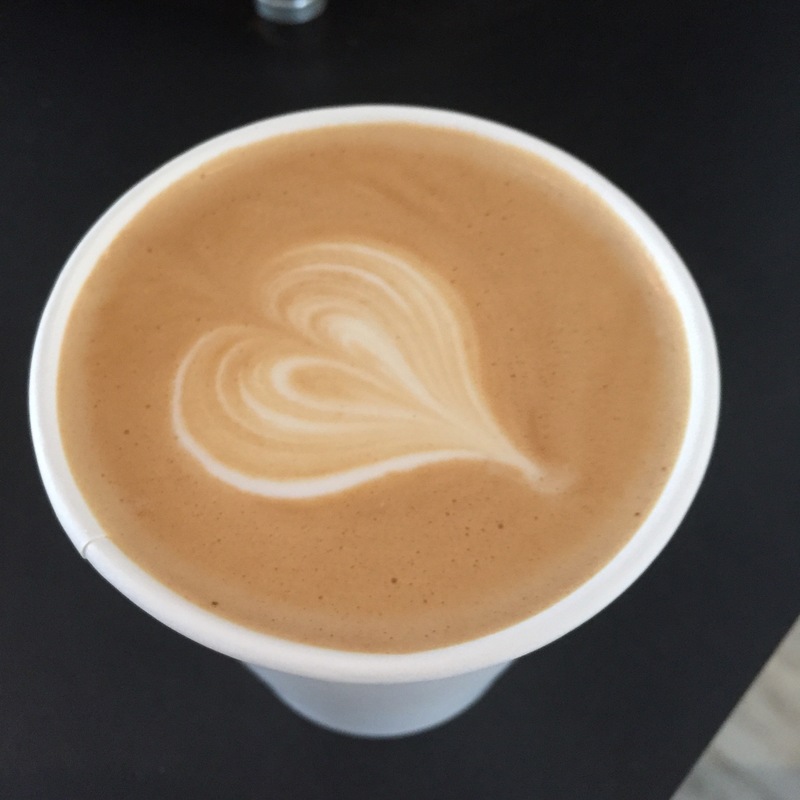 Why is it that a little latte art makes everything better? 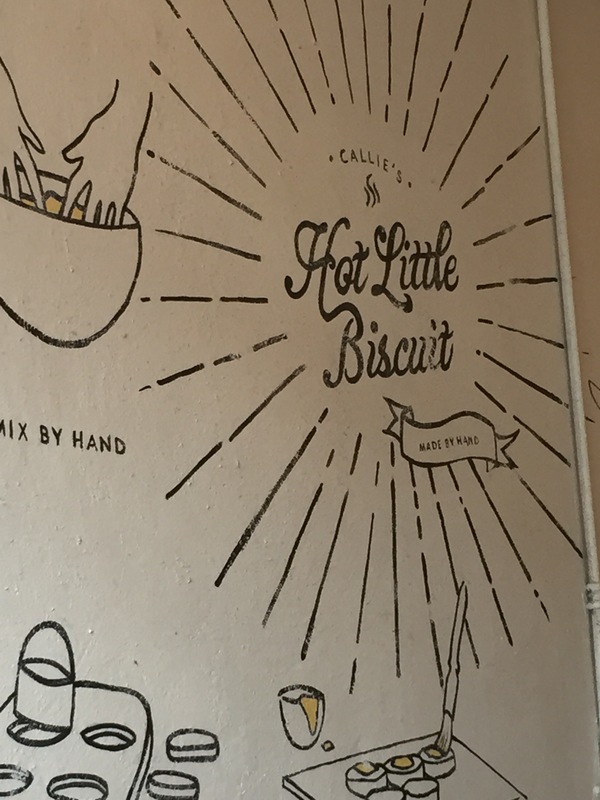 Coffee in hand, we strolled up King Street selecting the boutiques we would hit on the way back and finally made it to Callie’s Hot Little Biscuits. 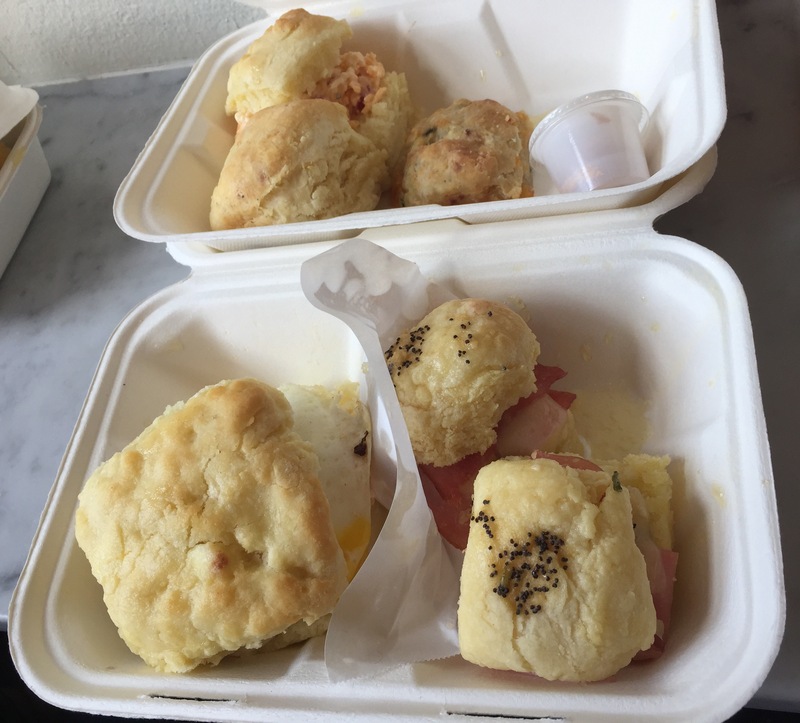 With a line down the block, we got to think about biscuits for the better part of an hour and a half. The shop is narrow as hell and you could probably touch both walls at the same time. 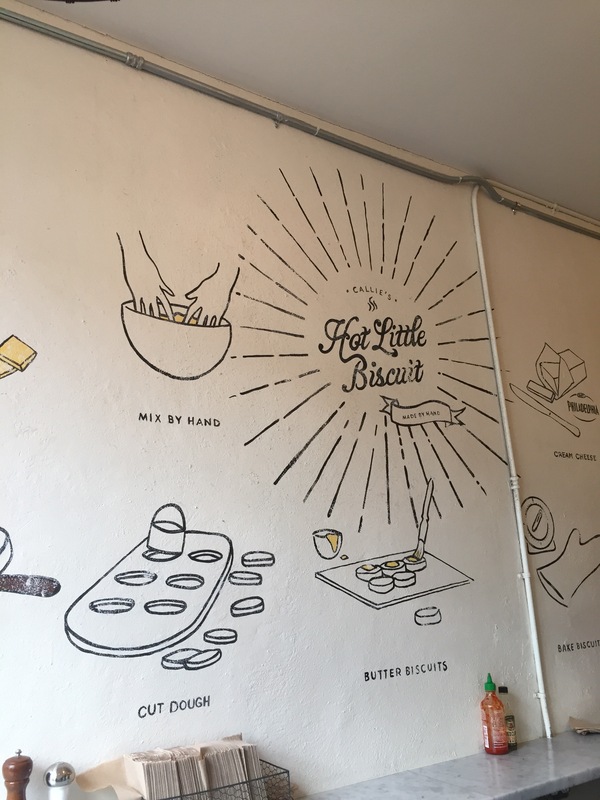 Once you finally got into the restaurant, a cute mural shows you how the biscuits are made. We were sharing! From back left, pimento, buttermilk, chive and cheddar (favorite), sausage sandwich, and ham and swiss. Not pictured: Nutella and banana. Damn, that’s a lot of biscuits! 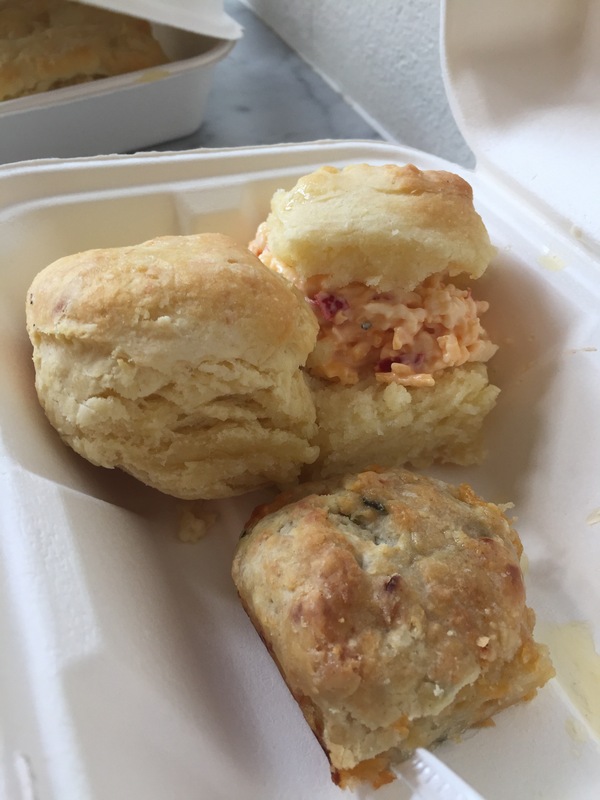 They were good…mainly because I was starving, but I must admit that Rise in Raleigh has much tastier biscuits. Also, I quite like my own cheddar and chive recipe that came from Ina Garten. These were rather fluffy, but you certainly couldn’t pick up a sandwich as it would fall apart in your hand. And the little bits of cream cheese that remained unmixed in the dough, were rather unappetizing. 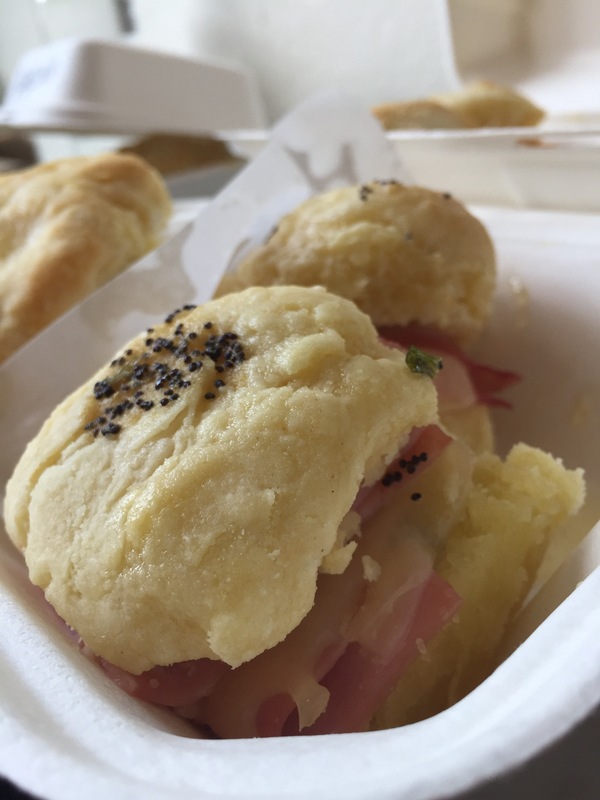 If you catch this line at a lull, sure stop in for the little biscuits. Don’t bother with a sandwhich. I would certainly not go out of the way for this again.